Heart murmurs can be innocent and indicate no problem, but sometimes they’re associated with a damaged or overworked heart valve. 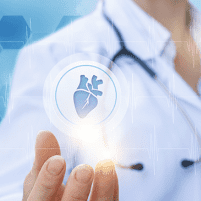 If you have a heart murmur, the expert cardiac team at Healing Hearts Clinic in Conroe, The Woodlands, and Huntsville, Texas, offers evaluation and treatment of your heart murmur. Call the office or book an appointment online for more information about heart murmurs and potentially underlying heart problems. How do I know I have a heart murmur? If you have an innocent heart murmur, you may have no symptoms or signs. You don’t need treatment. Heart murmurs can appear at any age. The most common cause of abnormal murmurs is a congenital defect, usually identified when you’re a baby. The team at Healing Hearts Clinic can evaluate what’s causing your heart murmur and if it needs immediate treatment. If you’re born with a heart defect or have heart valve disease, surgery may be indicated. If you’re concerned about an irregular heart murmur, call Healing Hearts Clinic today or book an appointment using the online tool.